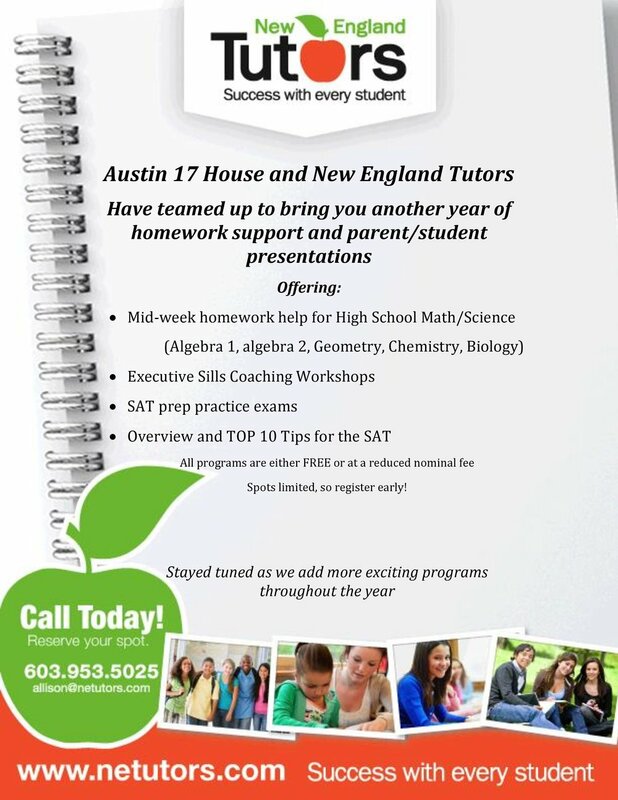 Austin17House in collaboration with New England Tutors is offering homework help to keep you on track for school success. New England Tutors, LLC guarantees “success with every student” as they inspire, challenge, and advocate for students of all ages and all abilities. Always starting with a free and comprehensive student academic assessment, Allison and her team also explore the social, developmental, and, when appropriate, employment conditions that might have an effect on the learning process. Their rigorous preparation and individualized process guarantees a personal connection and relationship with each student individually.